Happy St. Patrick’s Day! I hope you are all celebrating St. Paddy’s Day in style. For me, that means having a sparkly green manicure. 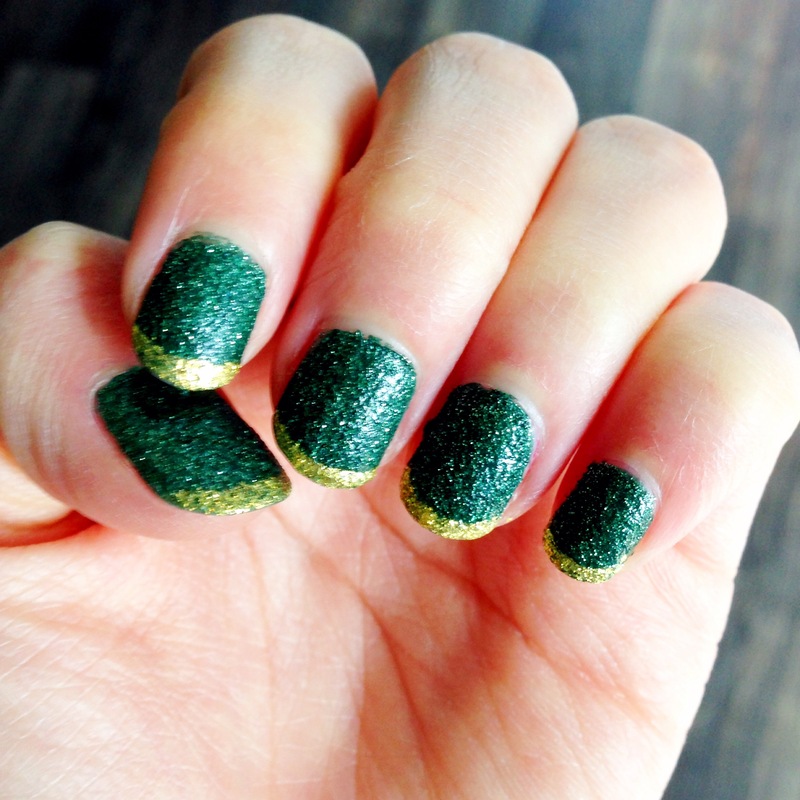 This is not just any green glitter nail polish. It is the fairest in all the land. Isn’t it lovely? 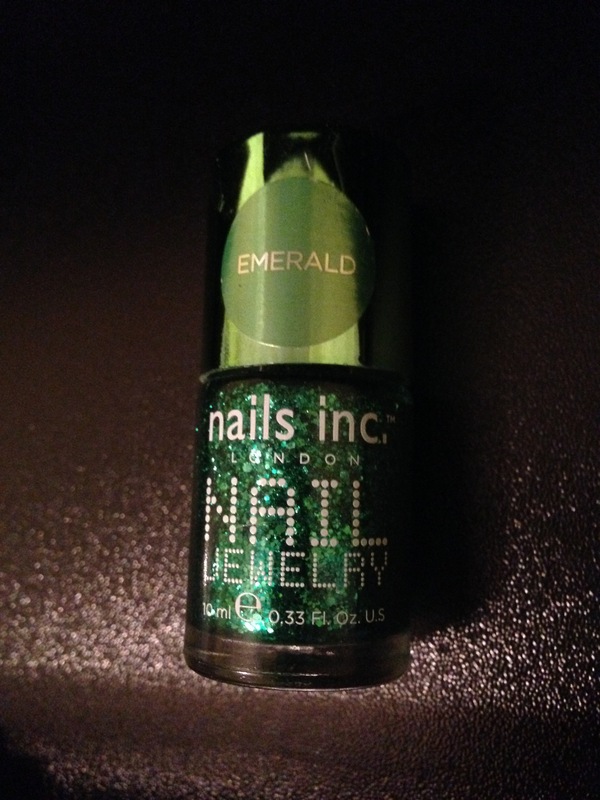 The color is from Nails Inc. and called Piccadilly Green. I actually thought the name was Emerald all this time because of this odd sticker on the cap. I only noticed it’s real name yesterday. 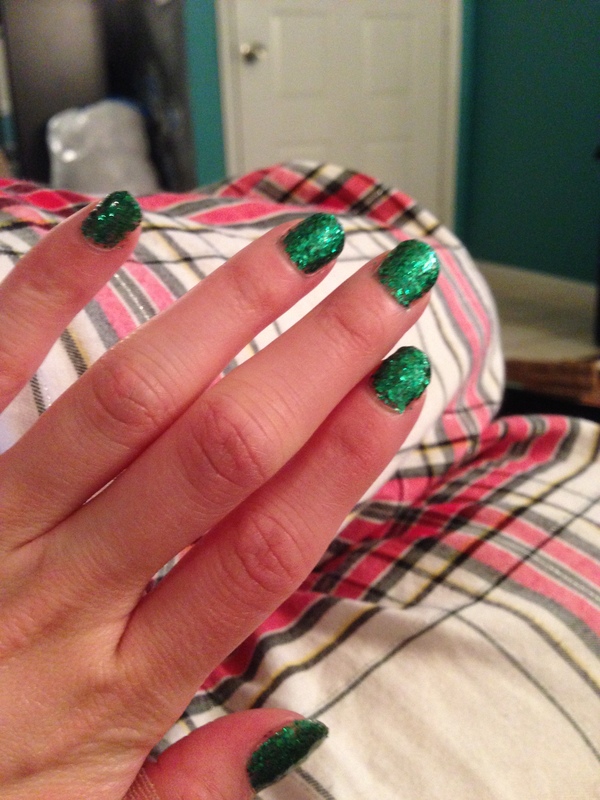 I’m definitely not confused about how much I love these myriads of green glitter on my nails. The glitter comes in various sizes and is full coverage. It’s everything I wished Deborah Lippman nail polish to be and with a 50% smaller price tag. Unfortunately, it only lasts one or two days. 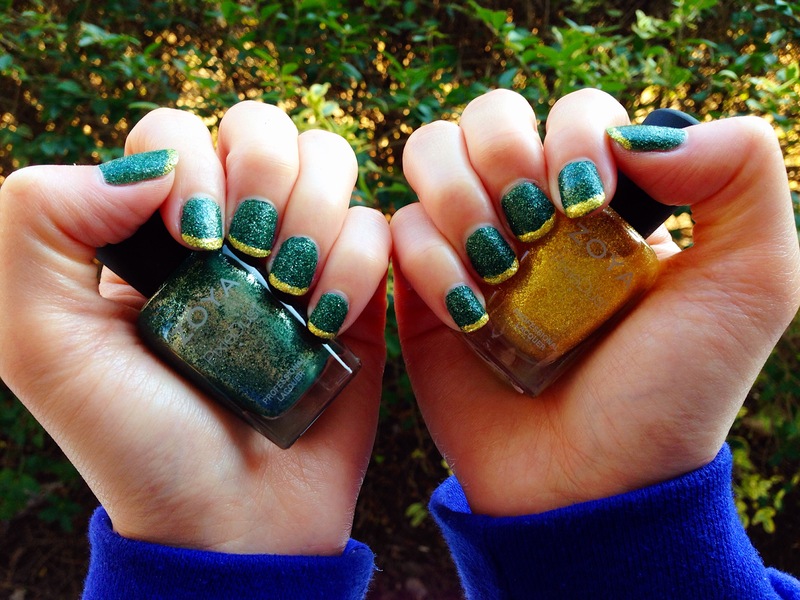 I think it’s worth it, and I wear this color every March 17 and around Christmas time (with the red version of this polish). However, I have some bad news. Nails Inc. has revamped their nail polish and no longer sells this color on their website. I bought this at Sephora a long time ago, so you might check around to see if they have any bottles still loitering on the shelves. How did you celebrate St. Patrick’s Day? Did you eat corned beef with boiled potatoes and cabbage? Did you call your husband “Seamus” all day? Did you get a free frozen lemonade from Chick-Fil-A? Did you watch half of an Irish film on Netflix and then not finish it so you could watch The Mindy Project? Let me know how your day went already!